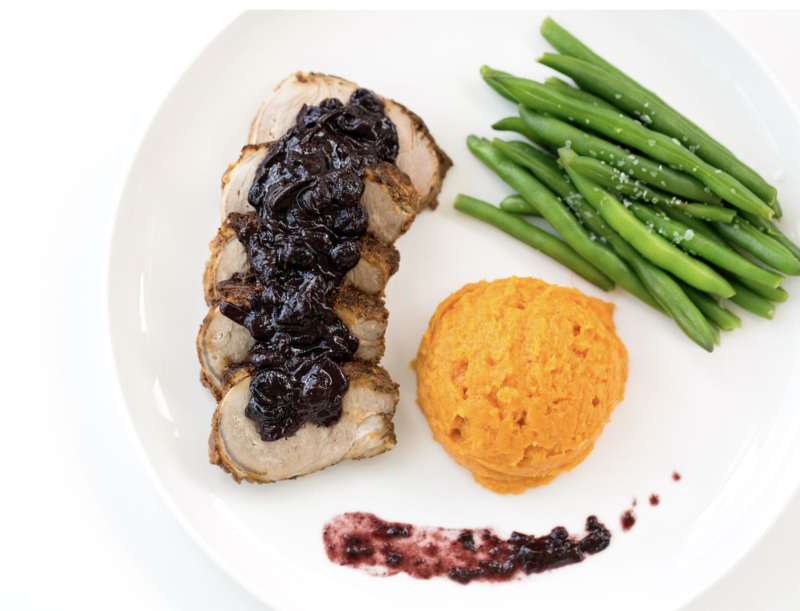 All-natural, lean pork tenderloin rubbed in wonderful spices, roasted to perfection then topped with blueberry balsamic reduction! 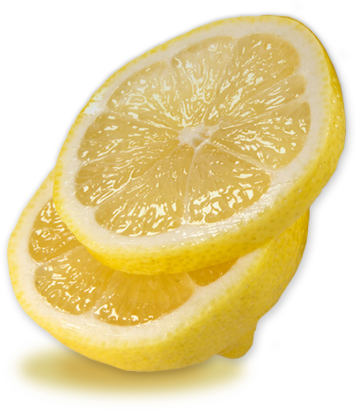 Perfect blend of sweet and savory! 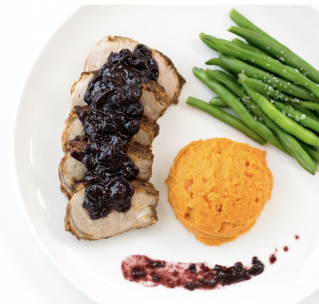 Paired with healthy mashed sweet potatoes and green beans for a delicious complete meal!